Dr. Reddy is the director of interventional cardiology at the James A. Haley VA Medical Center. He completed his cardiology and interventional cardiology from Winthrop University Hospital in Mineola, NY in 2007. 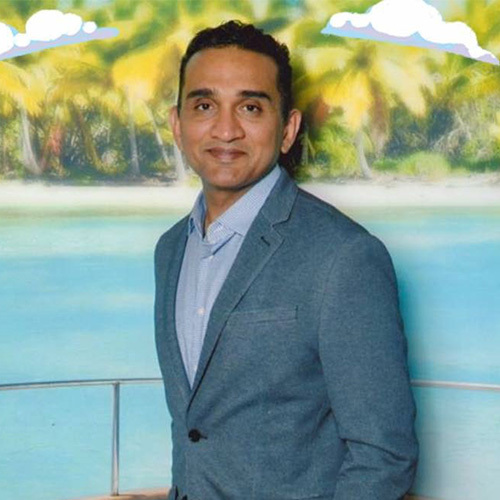 For the past eleven years, Dr. Reddy has worked at the VA hospital in Tampa, FL and has been affiliated with the University of South Florida. He served as the assistant program director for general cardiology fellowship and has won many teaching awards. Over the course of past three years, he changed his focus towards preventive cardiology and has been promoting lifestyle medicine and whole foods plant based diets to prevent, treat and reverse chronic diseases. In addition to general and interventional cardiology, Dr. Reddy is board certified in lifestyle medicine by the American Board of Lifestyle Medicine. He was instrumental in establishing the Veteran Health Administration and Armed Forces working group under American College of Lifestyle Medicine. He will be serving as the national co-chair for this group. In addition, he is a member of American College of Cardiology’s Working Group on Lifestyle and Nutrition. Dr. Reddy also works as an “Education Champion” for a Veteran Health Administration program called “Whole Health.” Through his participation in this program, he is actively involved in promoting lifestyle medicine to the hospital employees and patients. Dr. Reddy has established a lifestyle medicine clinic for cardiology patients. He worked with the office of graduate medical education at the University of South Florida and started a Lifestyle Medicine Interest Group for students at all levels of medical training. After years of treating heart disease with pills and procedures, he is now on a mission to spread the power of lifestyle and whole foods plant based nutrition. 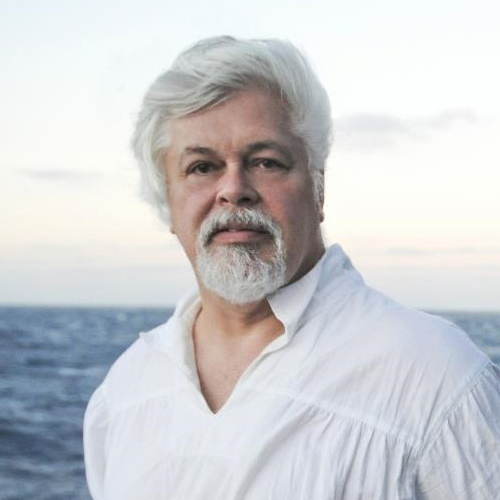 Captain Paul Watson is a marine wildlife conservation and environmental activist. Watson was one of the founding members and directors of Greenpeace. In 1977, he left Greenpeace and founded the Sea Shepherd Conservation Society as he believed in direct action to saving marine life and their habitats. A renowned speaker, accomplished author, master mariner, and lifelong environmentalist, Captain Watson has been awarded many honors for his dedication to the oceans and to the planet. Among many commendations for his work, he received the Genesis Award for Lifetime Achievement in 1998, was named as one of the Top 20 Environmental Heroes of the 20th Century by Time Magazine in 2000, and was inducted into the U.S. Animal Rights Hall of Fame in Washington D.C. in 2002. He was also awarded the Amazon Peace Prize by the president of Ecuador in 2007. In 2012, Captain Watson became only the second person after Captain Jacques Cousteau to be awarded the Jules Verne Award, dedicated to environmentalists and adventurers. In 1998 all Sea Shepherd ships were converted from vegetarian to vegan. Intervention practices that prevent and help reverse type 2 diabetes. Born and raised in Puerto Rico, Ana M. Negrón is a bilingual board certified family physician and author of the book Nourishing the Body and Recovering Health: The Positive Science of Food published by Sunstone Press. She owns a nutrition consultation solo practice, volunteers at a free Clinic for the uninsured, and teaches young family doctors the role of food in medicine. Food is integral to her practice where group cooking is a regular activity. She helps patients transition to a whole foods plant-based diet lowering the inflammation at the root of their illness and reducing the need for medications. In 2017 she received a grant from the Chester County Health Department toward a project to reduce heart disease in the community. In 2017 she created a produce prescription program with the Chester County Food Bank, now in its second year and which runs June to November. In 2016 she was awarded the Dr. Lorna Stuart Founders Award, in 2014 the Champions of the Community Award by the Phoenixville Community Health Foundation, and in 2012 was recognized by the Phoenixville Chamber of Commerce with a Community Betterment Award. Dr. Negrón is a diplomate of the American Board of Family Medicine, member of the Society of Graduated Physicians from the University of Puerto Rico School of Medicine , serves on the medical advisory board of Physicians Committee for Responsible Medicine (PCRM), and is a senior faculty at the Crozer Family Practice Residency in Springfield, Pennsylvania. 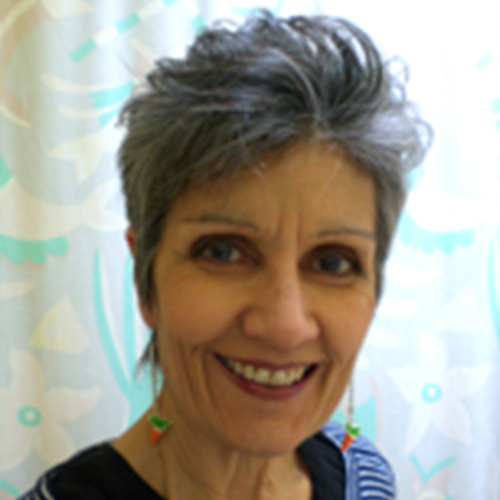 She holds a a Plant Based Nutrition Certificate from the T.Colin Campbell Nutrition Studies and is a frequent lecturer to lay and professional communities on issues of nourishment and health. Along with her book, much of her written material can be found at www.greensonabudget.org. Ronnie Tsunami, the Change the World Coach, helps leaders and organizations to accelerate the growth of their world-changing movements..tsunami-style! 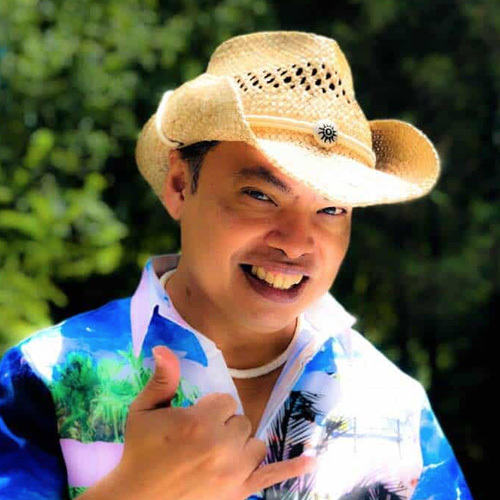 Originally from Honolulu, Hawaii, and a former member of the US Air Force who also served for the Secretary of Defense, Ronnie Tsunami has been called the “MacGyver” of training because of his ability to quickly develop learning that have been implemented in more than 10,000 academic institutions, companies and enterprise organizations around the world including Microsoft, the US Air Force, Blue Cross/Blue Shield, the Office of the Secretary of Defense (OSD), Time Warner Cable, and PlantPure Nation. In addition, he has built online and local support communities with millions of members in over 400 cities around the world in the fields of information technology, business, and health and wellness. Ronnie recently launched the largest web video summit ever held on the Internet, and he currently speaks around the country to companies and change leaders on how to accelerate change in an organization and society as a whole. For fun, Ronnie Tsunami is a composer, musician and lead singer with Tsunami Wave Riders, which has won multiple awards including Winner of “Best Country Artist” – Charlotte Music Awards, Winner of “Top Beach Band in North America” – Rising Star Awards, Winner of “Best World Music Artist” – Charlotte Music Awards, and Winner of “Single of the Year” – Hawaii Music Awards. American professional wrestler Austin Aries is known across the globe for his work in notable promotions including Impact Wrestling, Ring of Honor (ROH), and World Wrestling Entertainment (WWE). As a decorated athlete, Aries is the recipient of multiple championship titles including TNA World Heavyweight Champion, Impact X Division Champion, Impact World Tag Team Champion, ROH World Champion, ROH World Tag Team Champion, Impact Global Champion, and Impact Grand Champion. Aries quickly gained recognition for his athletic ability in the ring and as a color commentator with WWE on RAW, where he appeared weekly. Shortly after competing at Wrestlemania 33 in front of over 75,000 fans, Aries and WWE mutually agreed to part ways, ending their contract in July 2017. Aries decided to use his platform to promote his passion for living a plant-based lifestyle. In 2011, Aries transitioned to a vegan diet after being a vegetarian for 10 years. 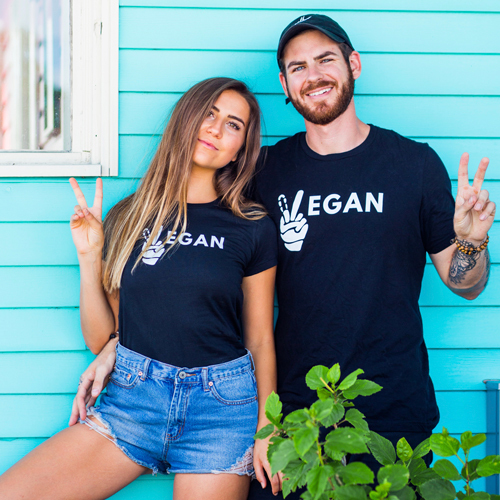 Since his decision to adhere to a vegan diet, Aries has become an outspoken advocate for the plant-based community, which led him to write his first book “Food Fight” in 2017. The revealing memoir chronicles the athlete’s plant-powered rise to fame as he climbed the ranks in his wrestling career, and his evolution to a plant-based lifestyle. With “Food Fight,” Aries hopes to inspire others to reconsider their food choices and the impact it has on their health, in their lives, and the lives of others. Food Fight is available for purchase at austinariesbook.com. Eco-conscious entrepreneurs on a mission to save this planet through zero-waste and high-vibrational living! It’s fun and rewarding in all aspects of this experience to live sustainably and mindfully!